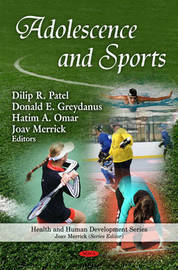 Sports participation by adolescents is considered a rite of passage in Western society. Adolescents participate in sports for many reasons. Most play sports for fun. Other reasons include, personal motivation, enhance fitness, socialisation, economic benefits, status symbol, parental or societal pressures, and media influence. Approximately 40 million children and adolescents participate in organised sports in the United States alone and many more world-wide. Many start at a very young age, as young as three years and specialise in a single sport with intensive participation, spending many hours in practices, games, and travel. In some cases this level of commitment to sports, whether a personal choice or because of societal or parental pressure, can lead to social isolation, burnout, and adverse impact on normal psychosocial development. Sport participation experience can be positive or negative depending up on the motivation, goals, and expectations of the adolescent, his or her parents or other adults in life, and the society at large. Many adolescents quit or are left out of participating in sports. The potential benefits of sport participation by adolescents include improve self-esteem, enhanced personal coping abilities, enhanced social competence, and fostering teamwork and healthy competitiveness. In addition to many psychosocial and developmental benefits of healthy sports participation, it can have life-long positive impact in prevention and control of major diseases that have enormous personal and public health implications. In this book the editors have explored selected topics to exemplify some of the many facets of sport participation by adolescents that have implications for individual and public health. Donald E Greydanus, MD, Dr. HC (Athens), FAAP, FSAM (Emeritus), FIAP (HON) is Professor and Founding Chair of the Department of Pediatric and Adolescent Medicine, as well as Pediatrics Program Director at the Western Michigan University Homer Stryker MD School of Medicine (WMED), Kalamazoo, Michigan, USA. He is also Professor of Pediatrics and Human Development at Michigan State University College of Human Medicine (East Lansing, Michigan, USA) as well as Clinical Professor of Pediatrics at MSU College of Osteopathic Medicine in East Lansing, Michigan, USA. Received the 1995 American Academy of Pediatrics Adele D. Hofmann Award for Distinquished Contributions in Adolescent Health, the 2000 Mayo Clinic Pediatrics Honored Alumnus Award for National Contributions to the field of Pediatrics, and the 2003 William B Weil, Jr., MD Endowed Distinguished Pediatric Faculty Award from Michigan State University College of Medicine for National and international recognition as well as exemplary scholarship in pediatrics. Received the 2004 Charles R Drew School of Medicine (Los Angeles, CA) Stellar Award for contributions to pediatric resident education and awarded an honorary membership in the Indian Academy of Pediatricsan honor granted to only a few pediatricians outside of India. Was the 2007-2010 Visiting Professor of Pediatrics at Athens University, Athens, Greece and received the Michigan State University College of Human Medicine Outstanding Community Faculty Award in 2008 Joav Merrick, MD, MMedSci, DMSc, born and educated in Denmark is professor of pediatrics, child health and human development, Division of Pediatrics, Hadassah Hebrew University Medical Center, Mt Scopus Campus, Jerusalem, Israel and Kentucky Childrens Hospital, University of Kentucky, Lexington, Kentucky United States and professor of public health at the Center for Healthy Development, School of Public Health, Georgia State University, Atlanta, United States, the medical director of the Health Services, Division for Intellectual and Developmental Disabilities, Ministry of Social Affairs and Social Services, Jerusalem, the founder and director of the National Institute of Child Health and Human Development in Israel.